In every sport, players have rituals to help them get to the winner’s circle. Or at least, they hope the rituals will pump them up. When I wrestled in high school I always had to listen to the Black album from Metallica to fire me up and help me focus on what I had to do to win. I always find it interesting to hear what others do to prepare for events. So, here are some swim rituals of the pros. One of the strangest rituals is when many swimmers splash water on their chest then drink some of the water. Pool water is not my favorite but many swimmers think that this helps them get over the shock of pools temperature. That way, when they go to swim, the shock won’t slow them down. I don’t know about that… pool water isn’t my favorite drink. But if it leads to a great race then drink up! Another pre-race ritual that I have seen is the intimidation ritual. This is when the racer comes out and flexes and puffs themselves up in an attempt to win the race before it even starts. Some one who has mastered this form of pre-race ritual is Olympic medalist Gary Hall Jr.
Gary was often seen coming into the race in boxing shorts and a robe. He would flex for the crowd and shadow box. He’d do his best to intimidate. And it must have worked because in his career he won 10 Olympic medals. Of course, what pre-race ritual list is complete without music? Many racers listen to music before a race. And for many different reasons. Some listen to hard rock or rap to get them pumped up while others listen to classical to calm them down and get into the race mind. 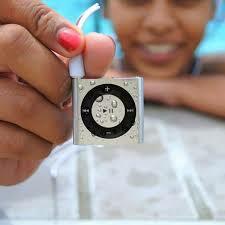 Whether it’s “Enter Sandman,” by Metallica or ” Ride of the Valkyries,” by Richard Wagner, if you want to get pumped for a race, use a Waterproof iPod Shuffle from Underwater Audio. They have the best sound quality. And you never have to worry about them breaking from getting wet. Racing can take a lot of work and focus so whatever you do to get yourself in the zone is ok. Don’t think that you are weird because you listen to Lady Gaga before your race. If it helps you focus, go for it. (Ok, if your listening to Lady Gaga that’s a little weird). What pre race rituals help you win? Leave comments below.